Monitoring and management software platform specific for car rental companies. Proautomative software platform is dedicated and customized to specifications of car rental company. The need of managers to organize all orders, availability of machines and monitoring costs and bills, made them to search custom solutions for their needs. This software has a number of features applicable to a various services despite the fact that it was personalized primarily for a car rental business. 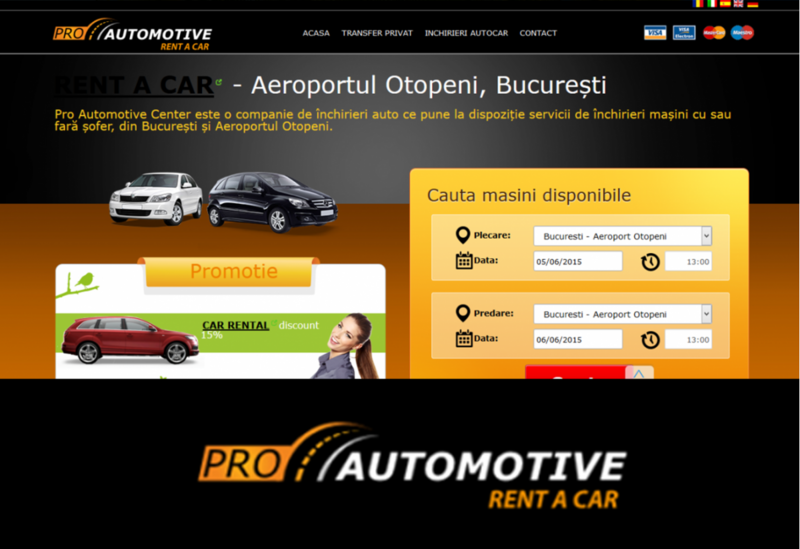 Pro Automotive Center is one of the leading companies in the field of car rental, which deals primarily with providing cars for rent in Otopeni Airport, both with a driver or just the car.